Today we’re looking at the latest Church News which by all intents and purposes would indicate something new was going on…such was not the case here. It seems the Church goes out of its way to remind members of how awesome they are, and while doing so leave out the truth. This week’s Church News was a special edition of adoration for their prophet Russell Nelson. All twelve of their apostles provided a brief statement about their love and devotion to him in celebration of his 94thbirthday. 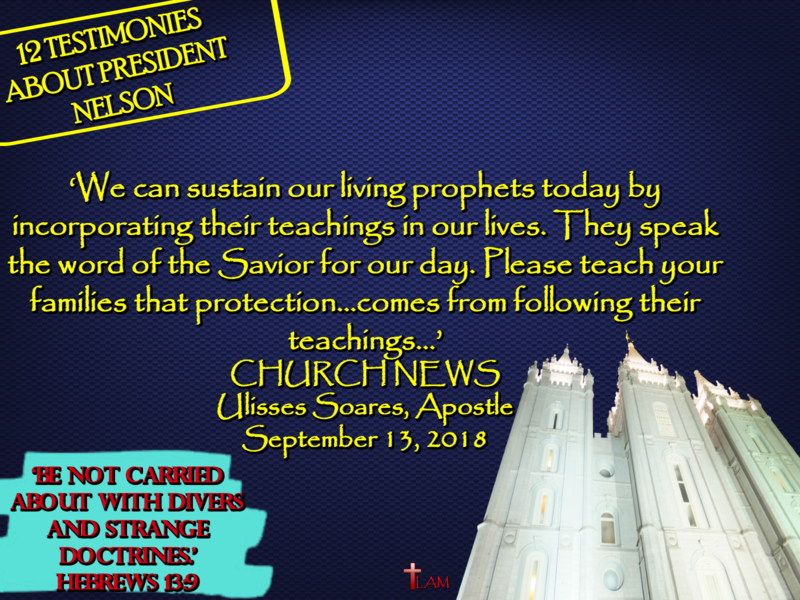 To read their article in full, see 12 testimonies from the Apostles about President Nelson. While skimming over their ‘news’, three things stood out to me. 1.Why didn’t they focus on Jesus with their mega platform? 2.While Russell Nelson was a doctor and a good one at that, why didn’t they talk about another doctor, that being Luke, who wrote two books of the Bible? 3.The testimonies of these false apostles were very much the same, but the last testimony listed was of particular concern. Why would anyone want to incorporate the teachings of a sinful man into their lives? Why not incorporate Jesus’ teachings? They continue to go out of their way to not focus on Jesus or any part of the Bible, so they can mislead and confuse people. Share the truth about Christian history and its significance with the Mormon you know, and let them know you’re praying for them!